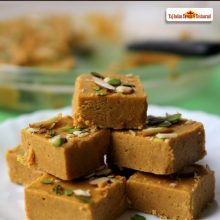 Indian Sweets Coconut Barfi which is a North Indian dessert recipe combines a delicious fusion of crunchy coconut and aromatic essence of cardamom to relish on your favorite and suspicious occasions and festival like ‘Diwali’ which is around the corner. Enjoy the most delicious sweets in Sydney, Australia at your own Taj Indian sweets and restaurant. 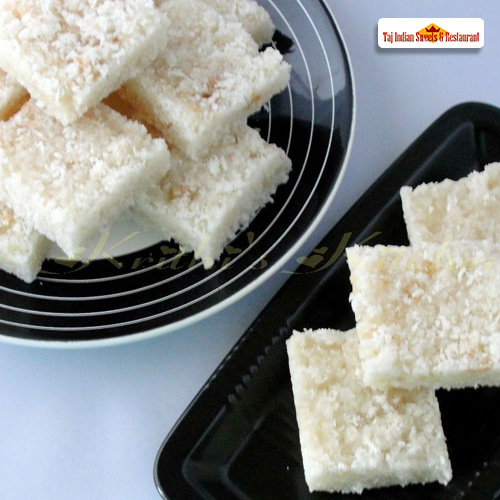 Coconut Barfi is a mix of Coconut, khoya and desi ghee. 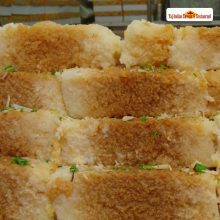 Coconut Burfee is an aromatic and simple yet perfectly balanced sweet treat. 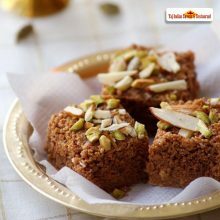 Coconut Burfee is popularly served during Diwali season, but with Taj Indian sweets and Restaurant in Harris Park, Australia, you can now enjoy these delicious Indian sweets in Sydney, Australia any time of the year and experience the joy of Indian flavors in Australia. 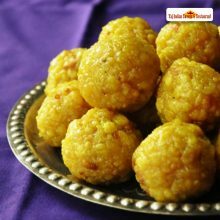 And with fall, comes the festive season for Indians the main festival that is Diwali, when Coconut Barfi is mostly in demand, Searching for Best Indian sweets in Sydney, Australia? Your search is over, Taj Indian sweets and Restaurant in Harris Park, Australia promises you to serve best of all the authentic sweets right here in Australia.